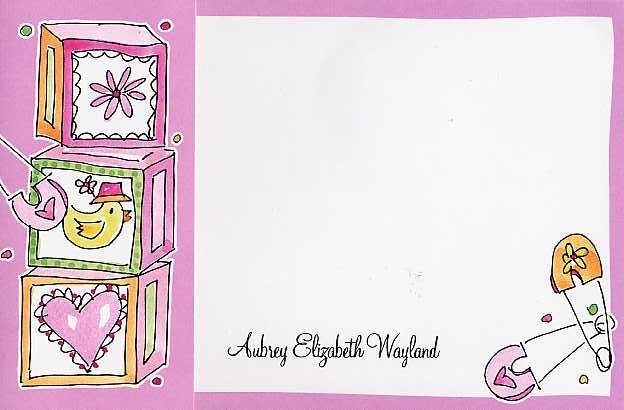 An adorable announcement or invitation featuring everything GIRL & BABY! 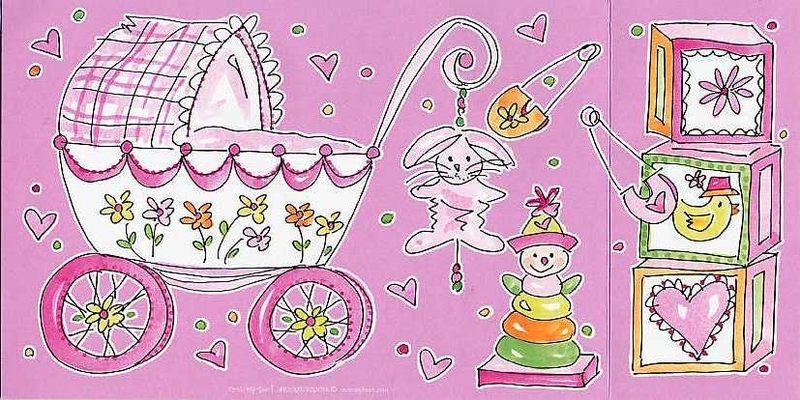 Pink hearts, pink flowers, baby blocks, stackable toys, diaper pins, pink bunny & pink stroller! 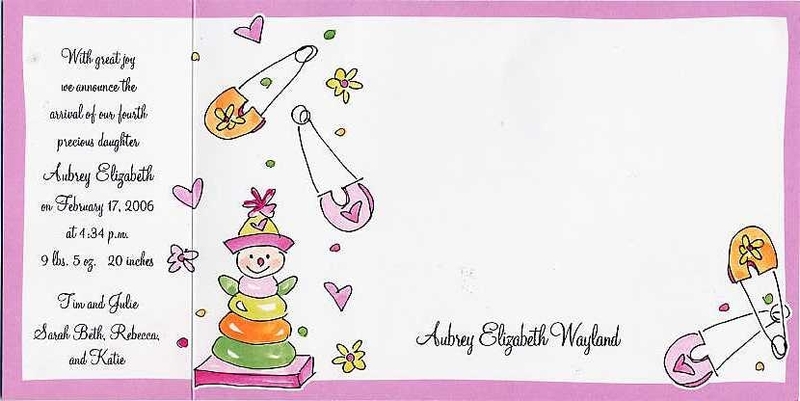 CLOSEOUT...only a few sets left.